Toddler interacting with a mirror. 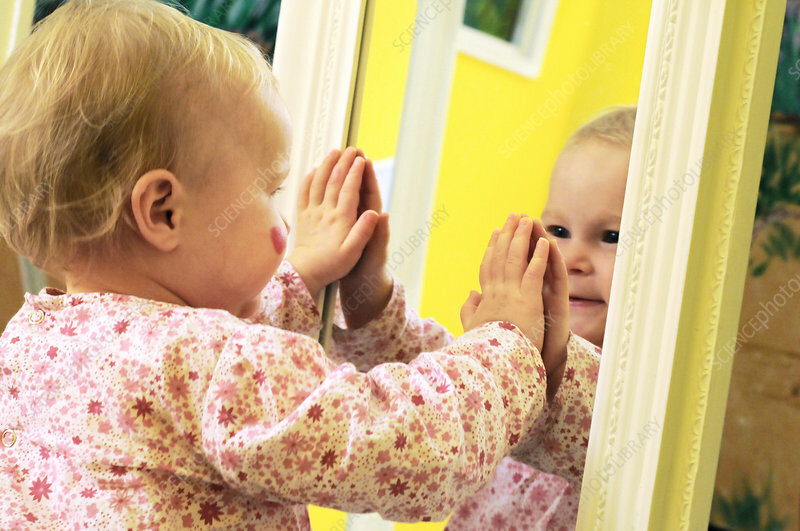 Humans begin to recognise themselves in a mirror by about 18 months of age. Similar tests in developmental psychology are used on animals to test for self-recognition.